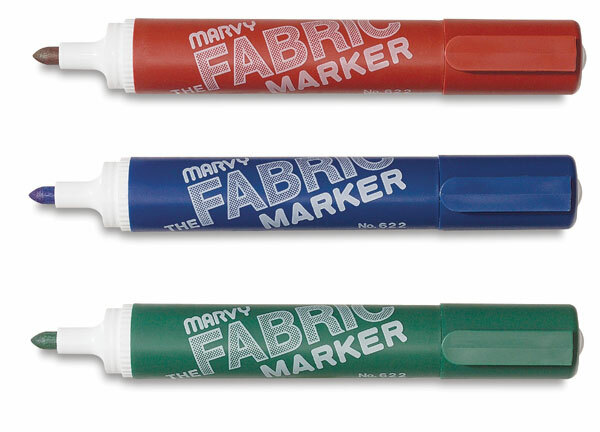 The Marvy Fabric Marker is a giant size marker (5" long) with bullet-shaped tip that can mark, draw and write on any fabric. 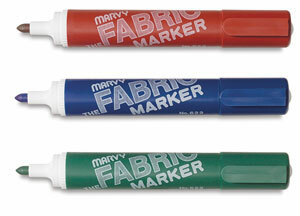 This non-toxic, permanent color dries instantly - no steaming or ironing is needed. ® Marvy is a registered trademark.